Introduction to Dark Golden Blonde 6G. Ugly Duckling Dark Golden Blonde 6G is a great option for blondes looking to go darker as well as brunettes to go lighter. Dark Golden Blonde is from the Ugly Duckling Gold Series. Colors from the Gold Series have a golden secondary tone, giving a warm, honey-like blonde hair color which has always been a popular choice in salons for many years. What will Dark Golden Blonde 6G look like? 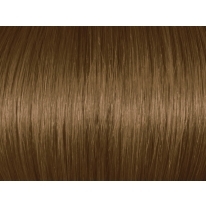 Dark Golden Blonde will give a golden reflect at a dark blonde hair color level, in other words level 6. How will Dark Golden Blonde 6G look like on my hair? Dark Golden Blonde can work on all hair color levels. It is especially suited for brunettes with warm skin tones looking to go blonde. Who should go for a Dark Golden Blonde hair color? Dark Golden Blonde hair color works very well on people with peachy, golden or yellowish skin tones, as well as those with darker tones. The golden reflect goes well with anyone with yellow or warm colors in their skin. As a result, Dark Golden Blonde is also a very popular choice for those with South Asian, Hispanic or African American skin tones. What kind of Hair Coloring Technique can I use with Dark Golden Blonde Hair Color? Dark Golden Blonde Hair Color works well for full head coloring techniques. It can also be used to cover the first grey hairs. For women with greater than 25% grey hair, it is recommended to mix Dark Golden Blonde with either 6N or 6NN for a flawless grey hair coverage. 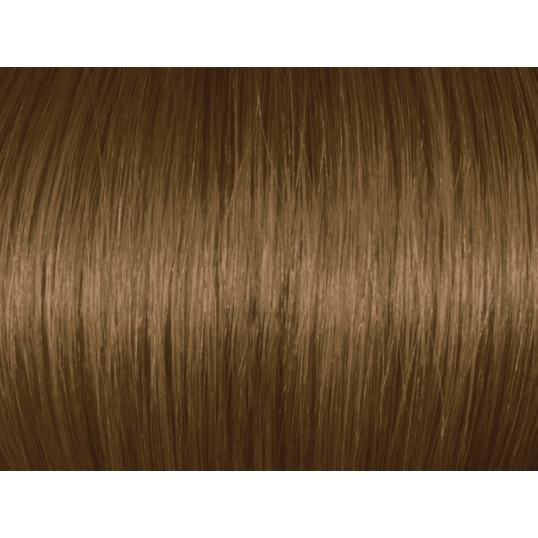 Dark Golden Blonde 6G/6.3 gives a dark blonde color result with golden reflects. Introduction to Dark Golden Blonde 6G.